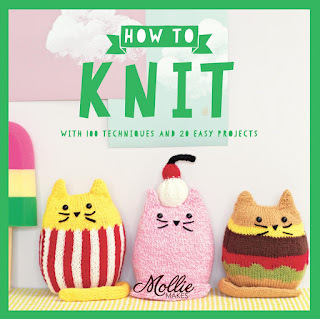 Two new paperbacks recently landed on my desk for review* - they are 'How to Knit' and 'How to Crochet' from Mollie Makes. 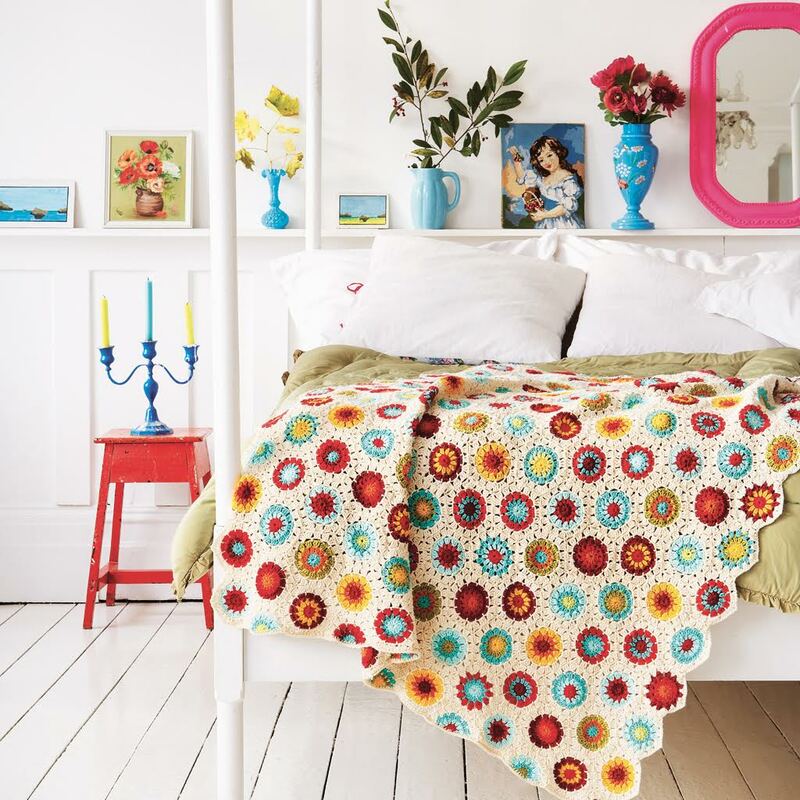 If you've been reading the magazine for any length of time, you will probably recognise many of these colourful projects which are presented here together, and have been previously published in hardback editions of the Mollie Makes books. Both books follow the same format, each with twenty different 'easy projects' in part one, and the second half of each book covering techniques. The crochet technique section includes information on hooks, yarns and other supplies, holding the hook and yarn, basic stitches and the other skills you will need to know to make the projects in the book. 'How to Knit' includes the equivalent information. Despite the many pages of illustrated information, if the target audience are true beginners, I'm not sure quite how "easy" some of the patterns would be. For example, the cute bulldog puppy pattern by Louise Walker runs to four pages of written instruction, for a project that includes tucks and intarsia - it may not be the easiest pattern to begin with and I suspect might look daunting to a new knitter. 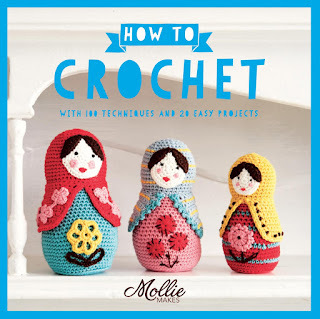 Similarly, Cara Medus' lovely Russian Doll pattern - featured on the cover of the crochet book - may look complicated to those who are new to crochet. If you do have a little experience, perhaps you have completed a few projects and want to expand your skills, you should find plenty of options here. 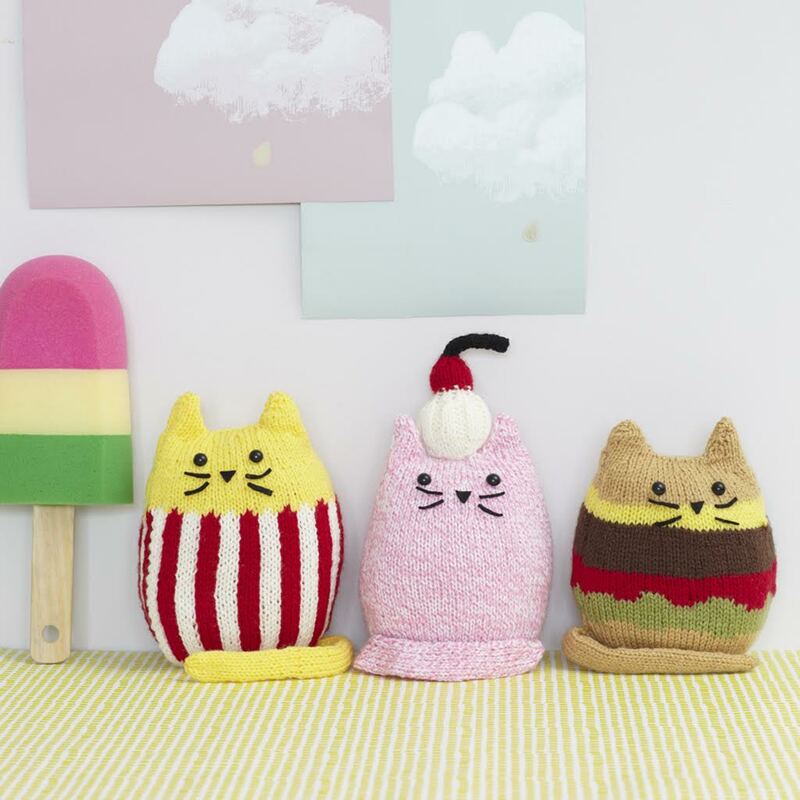 My favourite projects (pictured) give you a taste - the patterns produce colourful and attractive fripperies and come from well known knit and crochet designers. Overall, I'd say these are very nice collections if you like the Mollie Makes aesthetic and don't already have the back catalogue of hardback books. 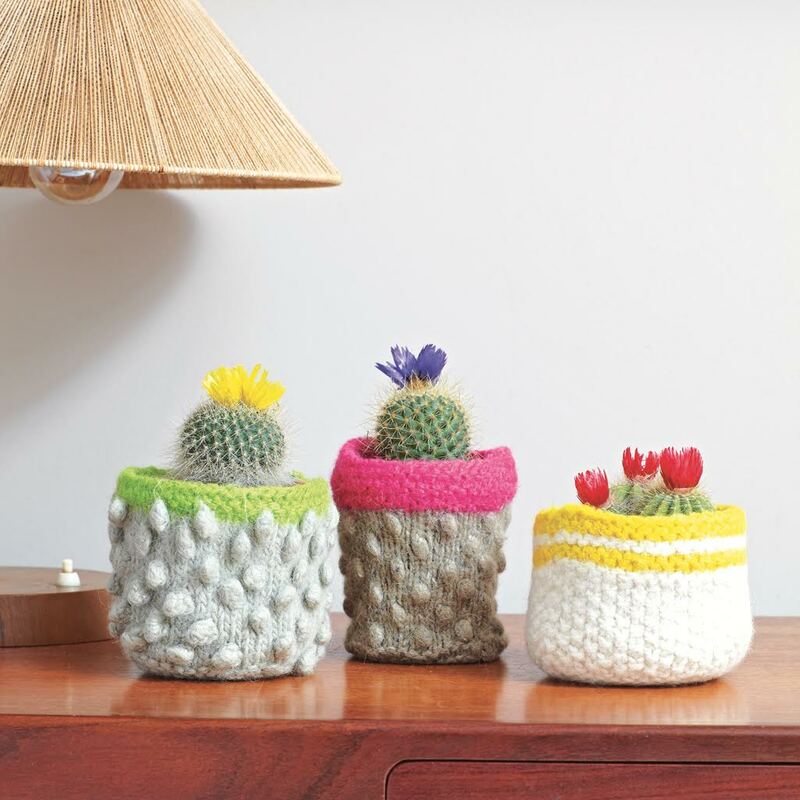 I believe they will especially appeal if you already have a bit of knitting / crochet experience. If you want to learn how to start either craft completely from scratch you may find some of the patterns a little overwhelming and my honest advice would be to start elsewhere to get to grips with the basics, before moving onto these. The paperbacks are widely available now and at the time of writing, both 'How to Knit' and 'How to Crochet' are priced under £10 each on Amazon, where they are also available for Kindle. *This post includes a review of books I was sent free of charge in return for an honest review, and includes affiliate links.